Hi!! So today, I will be doing a little TBT to my first study abroad. I participated in a student exchange with the Univeristy of Nottingham during the spring of 2013. Seriously, it was the best 6 months ever!! I meet some of my best friends, became a better student (like for real, once I came back from nottingham I had my best semester ever while working and studying full time and having 2 kinda outside activities), and got to explore part of the region in the world that I want to study about!! 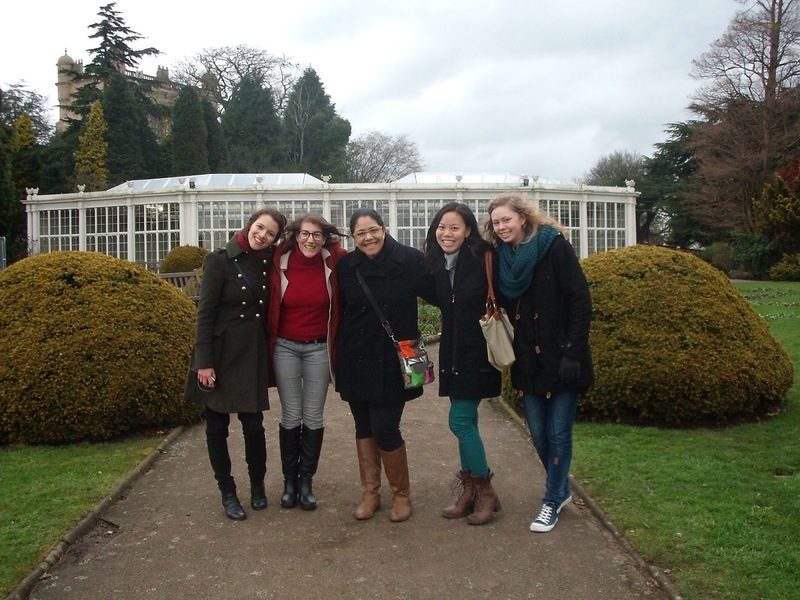 This photo was taken at Wollaton Hall in Nottingham (also known as Wayne Manor from The Dark Knight Rises movie) It was taken during my first week in Nottingham (it was right behind Uni of Nottingham so 10 minutes walk, maybe) These girls became my support system in Nottingham and my best friends. Till this day, I still talk to them even though we come from all over (Portugal, Sweden, Germany, Canada+2, and USA) They are the best and I am so happy to still be their friends! (PS: we are missing one girl in the picture!) I can’t wait to reunite with them next year!